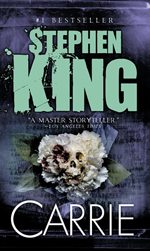 To begin, I want to tell a quick story about my introduction to Stephen King. I came really late to the party when it comes to the King. I’ll not bore you with the story about my first read, but to make a long story short, I read The Stand and was not a fan right away…to say the least. For some reason, and after numerous recommendations, I started The Dark Tower series and I wasn’t even that impressed with the first book, The Gunslinger. I didn’t hate it, but it wasn’t nearly what everyone was saying. O for 2. And yet, for some crazy reason that I still don’t really understand, I pushed along, reading book two in The Dark Tower, The Drawing of the Three. I’ve fallen for authors before and maybe it was all the prior disappointment, but I fell really hard with that book. Instant fan here…erm…after three books. Thereafter my collection of King books has slowly been increasing starting with The Dark Tower series (of course) and moving on to others (I think I’m at around 25 or so). I have even read a couple more since I guess that’s what you’re supposed to do with books, at least someone told me that once. Every single one has been great and that also explains my current read (rereading the one I hated and enjoying it more than most other books). So we’re talking about Carrie here right? Right. Carrie. King’s first published book. I gotta say, this is quite an impressive book. Published when he was 26, I guess some people are just born to do certain things and King was born to write. This also makes me feel like I’ve wasted my life. First of all, this audiobook was read by Sissy Spacek. If you’ve been living under a rock, she’s the one who played Carrie in the classic film based on this book. She’s a great actress, although I’ve not seen this film, and she’s perfect for the reading of this book. On that note, both this book and its movie are inseparable from pop culture. Having never seen the movie or read the book until now, I still knew (or thought I knew) everything about this book. And who doesn’t know about that infamous prom scene? Just the people in that Geico commercial, just those. I thought for sure that knowledge would ruin the book for me, but it turns out that’s not a problem. The way the book is set up, you already know about that scene almost right up front. Each chapter starts with a snippet of a news story or biography that tells of the occurrence at the high school and Carrie. This scene actually happens way earlier in the book than I thought it would and the rest of the book deals with the aftermath. I had a hard time with this book, though, and I think it’s for a couple reasons. One of those reasons is that I don’t think the set up really worked for me. There really wasn’t much to this book, it was just the same events told in different ways and even though the book’s only around 200 pages, it still seemed long. High school is just a terrible place or can be. It’s one of the worst times in many a person’s life and it’s only magnified in and through Carrie. She’s the worst type of tortured teenager and all I could think was that I never wanted my daughters to grow up and go through it. Through the insecurities, the immaturity, and downright meanness of those who tend to have the most insecurities. Even through these agonizing moments, I was able to see King’s genius. At the end of the book, it really did seem like this was a real historical event. It was well-documented and the T.K. gene seemed almost like it could exist. The characters were also just as real as any other of King’s characters – which is as real as they come. Three words: see the movie. Just for Piper Laurie's performance as Mrs. White. I'm actually thinking of looking at The Shining versus Carrie (the movie edition) because in a lot of ways, I'm a bigger fan of Carrie even though Kubrick's The Shining is the critical darling. I may just have to. Mrs. White was one of my favorites in the book.